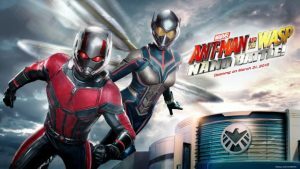 The opening date has been announced for the new attraction Ant-Man and the Wasp: Nano Battle in Hong Kong Disneyland. 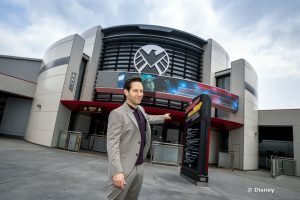 See a sneak peek of the ride and the opening date here! New Attractions Coming to Disney Parks Around the World… and What You Need to Know About Them! Fans of Disney Parks around the world know that there’s always something new on the theme park horizon. Here we’ve gathered some of the most exciting upcoming attractions finding homes in Disney parks all over the planet! Walt Disney World Magic Kingdom’s Tron Coaster This attraction is beloved at Shanghai Disneyland, and it’s making its … Continue reading "New Attractions Coming to Disney Parks Around the World… and What You Need to Know About Them!" 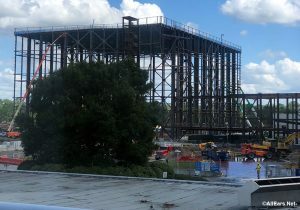 Ride Tests Begin for Iron Man Experience at Hong Kong Disneyland Marvel’s Iron Man Experience has officially begun ride tests. Iron Man Experience is the all-new attraction we’ve been eagerly waiting for since it was first announced in 2013. Hong Kong Disneyland announced today that ride system tests by their expert team of Walt Disney … Continue reading "Iron Man Experience Ride Tests at Hong Kong Disneyland"
Contributing photographer Jason of disneygeek.com sends us this "preview" of Disney Paint the Night Parade. The Disneyland 60th Anniversary kicks off on May 22nd with a new parade, new shows, entertainment and more.The new parade will be Paint the Night which will roll through Disneyland each evening. 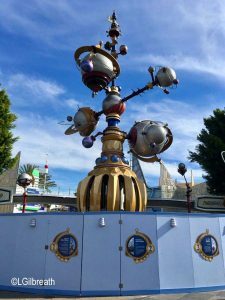 Though some elements will be new, it will … Continue reading "Disney Paint the Night Parade in Hong Kong Disneyland a preview for Disneyland 60th"
Laura concludes the Hong Kong Disneyland trip with a final blog on the food and hotels. In Part 3 I&apos;ll talk about the parade and fireworks, and cover a few other miscellaneous topics.